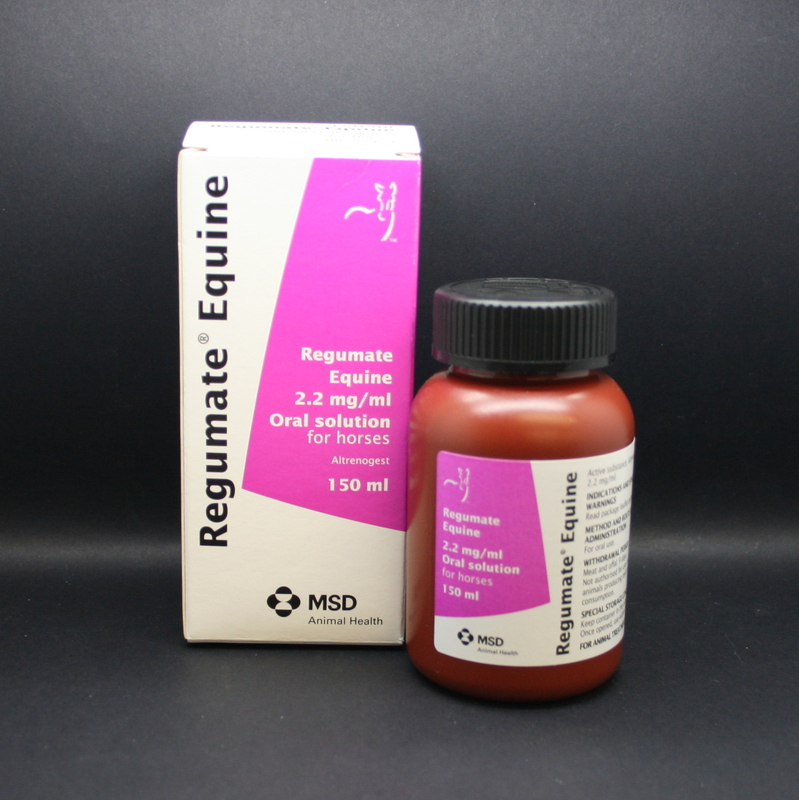 Regumate is used in the reproductive management of mares & to control oestrus (their "seasons"). It comes as a liquid which is given daily either directly into the mouth or added to a feed. It can be used to prevent mares coming into season or if the course is started when she is already in season, it should be suppressed within 1-3 days. Therefore it can help prevent the behavioural changes due to hormones, seen in some mares. 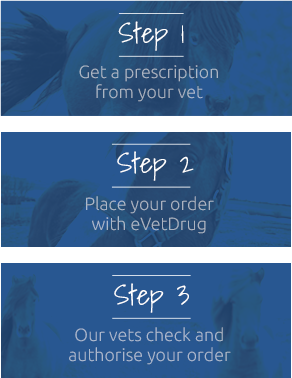 It can also be used to arrange the timing of ovulation, for breeding, as once treatment has stopped, 90% of mares will come into season within 5 days, then 60% of mares ovulate 11-14 days after the end of treatment. Warnings & Contraindications- Do not use in mares who have been diagnosed with a uterine infection. Do not use in stallions or geldings. Women who may be, or are pregnant, should not handle the product. Women of childbearing age should avoid contact with the product. Avoid contact with skin. Pregnancy & Lactation- Seek advice from your vet for use during pregnancy. Unlikely to cause problems during lactation.